You can’t put a number on it because it’s not for sale. Perhaps I feel that way about citizenship because like most of you, I’ve paid for it with years of hard military service. But guess what? Citizenship does have a price tag in many countries – including Singapore. Many countries have “economic citizenship” programs that extend citizenship to foreigners who “invest” or “donate” a considerable sum to the nation – ranging from $130,000 to several million dollars. This is done by investing in property, government-approved funds, founding a new business that hires X number of citizens, locating your expanding company there, etc. Of course, residency requirements for citizenship vary between nations. Some grant citizenship immediately after an application is approved, while others require a few years residency before they’re granted citizenship. What else could I tell you about Singapore that you don’t already know? It’s a global technology and banking hub that’s already being called the “new” Switzerland by investors from around the world. It’s also seen as a prime location for many companies looking to establish a presence in Southeast Asia. The fast track to Singapore citizenship lies through the Economic Development Board’s Global Investor Program. Through the program, you get instant PR status. And within 2 years you can apply for citizenship. Tax Haven: There are no wealth taxes (capital gains, inheritance tax, etc.). Visa-Free Travel: Travel to 167 countries worldwide. Easier to Buy Property: Citizens notably have fewer restrictions to buying multiple properties in Singapore’s hot property market than PRs and foreigners do. VERY Business Friendly Nation: Unlike other nations, you can start a business in only a few days in Singapore, leading many to call it the most business friendly nation in the world. Lower Taxes: Taxes for high wealth individuals (20% flat tax) and companies (17% flat tax) are lower than most industrialized nations. Residency Requirement: Yes. Upon granting of your PR, you’ll be given a Re-Entry Permit that’s valid for 5 years so you can retain your PR. But you must either set up a business in Singapore with 5 Singaporean employees or you must reside in Singapore at least 6 months out of the year. Military Service Requirement: No. PRs under the Global Investor Program are exempt from serving NS (what’s up with that?!). Dominica is in many ways like Singapore’s Caribbean little brother. They’re both about the same size, are former Crown colonies of the U.K., have English as an official language, have low crime rates, and are very business friendly. The biggest differences between the two are that its population is 98.5% smaller (pop. 71K) and most of its land is still “natural” jungle as opposed to “concrete” jungle. Tax Haven: No wealth taxes (capital gains, inheritance tax, etc.) or taxes on foreign income. Discretion: Dominica will not inform your home country that you’re a citizen. Business Friendly: Dominica’s business friendly policies make it easier to do international business. Visa-Free Travel: Travel visa free to over 90 countries. Upon approval of your application (can take up to 12 months), citizenship is immediate. None. You can maintain citizenship without residing in Dominica. None. But you can volunteer for military service. Belgium is an increasingly popular location for immigrants looking to get their hands on a valuable EU passport. For businessmen, it’s a great location to reach the European market without paying ridiculous tax rates (and that EU passport is pretty nice too). To get economic citizenship, you need to either invest in or found a new Belgian company with an office. Unlike some of the other nations on this list, you’ll need to pass a language exam in French, German, or Dutch when applying for citizenship. EU Passport: The biggest benefit is that you’ll be able to reside and work ANYWHERE in Europe. Business Friendly: Belgium doesn’t impose crushing taxes on business owners. Visa-Free Travel: Travel to over 100 countries including all EU member nations. 3-8 months to get a residence permit plus another 3 years residency before you can apply. You can also get citizenship by right after 7 years of residency. None. You can get your residency permit without having to reside full-time in Belgium. Malta is a small, Mediterranean island that shares a lot of similarities with Singapore. It’s a former British territory, a tax haven (something most nations on this list share in common), business friendly, and is an established technology and international banking center. But an even bigger lure for investors is the ability to get the prized EU Passport quickly and easily through Malta’s Individual Investor Program… for a measly $1,130,000. Visa-Free Travel: Travel to 163 countries worldwide including all EU nations. Upon receipt of your “investment” into the Individual Investor Program, citizenship is immediate. None. As long as you either buy a Maltese property (min. $390,000+) or pay a minimum of $15,200+ rent on a Maltese property annually. Both properties don’t even need to be inhabited! The United States is still a desirable destination for immigrants and businessmen from around the world despite going through tough economic times. However, it’s still the world’s largest economy (for now), and that makes it an attractive location for new commercial enterprises. If you have a net worth of $1,280,000+ and make a $640,000 capital investment in a new business to get permanent residency through the EB-5 Immigrant Investor Program. You also must create and sustain 10 jobs within 2 years as a program requirement. Easy to Reunite Family: Once you attain citizenship, you can bring over any immediate family members to live with you as permanent residents. Visa-Free Travel: Travel to 172 countries worldwide. Financial Aid: Citizens are entitled to government financial support for higher education, retirement, and social services. Civic Benefits: Citizens can run for political office, get a government job, and benefit from a greater range of civil right and liberties than most other nations. Waiting Time for Citizenship: 9-12 months for EB-5 Investor Program approval plus another 5 years of continuous residence are needed before you can apply for citizenship. Residency Requirement: Yes. You must live in the U.S. continuously for 5 years before applying for citizenship. Staying overseas for more than 6 months will void your PR status. *Special Note: However, if you join the military once you’ve attained permanent residence, as long as you’ve served (honorably) for at least 1 year, you can apply for citizenship through “naturalization”. This is considered a “fast track” to citizenship. 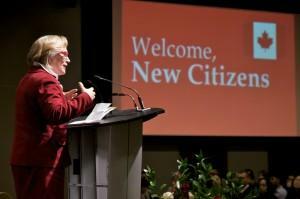 What do you think of economic citizenship programs? Is citizenship really priceless? Tell us what you really think on Facebook! And to find even more useful information on everything personal finance, visit MoneySmart today! Who Would Have Thought Buying a Watch Could Be an Inflation-Beating Investment? I Thought All Budget Airlines Were The Same. But Only 3 Are Worth My Time And Money. Is Singapore’s Healthcare System Better Than Other Countries?